This may seem obvious – but you need to have a strong grasp of basics such as exponents, triangle properties, an integers before even attempting to take the test. But even a shaky grasp of the fundamentals can slow you down. Make sure you are confident with the basics. However, there is a paradox here: on the GRE if you focus only on the fundamentals you will jeopardize your score. Fundamentals are only half of the battle, if that. Consider this – even some math majors struggle with the GRE quant. The reason is the GRE quant section tests how you think/solve problems just as much as it tests math concepts. To learn the “tricks of the trade” practice with official material – whether it is the current GRE book or even the old Big Book. Nobody quite tricks you like the folks at the ETS (the organization that writes the test). Pay attention to your mistakes, i.e. how you got trapped in the first place. For instance, if it is a percent problem that seemed so easy, what twist did ETS throw in there? Deconstructing questions in this manner will help you greatly. Finally, learn effective techniques such as approximation and plugging in – techniques math majors never learned. Remember, obsessing over fundamentals will prevent you from doing well on the test. Focusing on a given area so that you can become better is important. So if you are encountering compound interest for the first time, make sure you get the basic concept. Make sure you can also answer easy and medium-level questions successfully. However, do not fixate on one section – let go and move on to other concepts. Remember, the more you focus in one area, the more other areas will languish. Think of your GRE prep as a garden. You do not want to overwater plants (see “be a specialist” above”), nor do you want to flit from flower to flower, plant to plant, tree to tree, never stopping longer than to give a dollop of water. To constantly water your garden, remember do practice questions at random. For instance in math, practice some quantitative comparison with variables, throw in some coordinate geometry and a rate problem for good measure. This variety of problems is not only helpful from the standpoint of “watering” – the randomness of mirrors the actual test. So what are you waiting for? Open up to a random practice set in your prep book and see how you do! Yes, I know – the GRE allows you to use a calculator. But relying on a calculator for every single problem will only slow you down. Instead, awaken your calculator brain. You should know how to convert fractions into percents/decimals with ease. Know the square of every number up to 20; the cubes for every number up to ten. Be able to approximate calculations like 27 x 14 in a matter of seconds. Doing so will help immensely test day. And when you see 2.45^6…it’s time to use the calculator. Don’t waste time and material that is too easy, vaguely worded, or simply unlike the actual material on the test. How to know the difference? 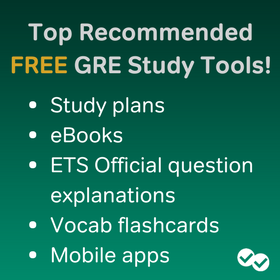 Pick up the ETS Official Guide for the Revised GRE. Here you have the problems written by ETS. For other great material, check out Manhattan GRE and Magoosh. Yep, the latter is us. We not only have a range of questions testing all the concepts on the test, we have lesson videos that will help you drill the fundamentals, and question types that pertain to each fundamental. Talking about watering your garden – with Magoosh will quickly become both a specialist and a generalist. Hello, my background in biology. I never use maths since high school. I want to get a 160+ score in maths. if you have some tips for me let me know. I have given my first GRE and got 164Q/154V. I am studying to take a second GRE test. I have been self studying and have majorly improved my verbal. In the latest practice test by Manhattan GRE, I was able to score 327, 164V/ 163Q. I am pretty confident in quant but no matter how much I practice I can’t seem to get a perfect quant score. It always stays in the range of 160-165. Concept wise I don’t think I am weak in any area, yet I can’t score 165+. Kindly help me in this regard. Any advice would be greatly appreciated. Mindlessly practicing question in maths isn’t gonna help me. First of all, congrats on some stellar GRE scores! I know it’s frustrating to feel like you have reached a “plateau” in your math score, but you are still doing incredibly well and I can tell you are working hard! Why you missed the question? Why your answer is wrong? Why the correct answer is correct? What will you do to avoid this next time around? Return to your error log often. Review your mistakes and errors before you take a practice test. You want your common mistakes and errors present in your mind when you sit to take a test so that you can consciously avoid them. If you do this enough, by the time you sit for the actual test, you will be aware of your common errors and “silly” mistakes and you will work to avoid them or notice them when they happen. This sort of analysis will help you to recognize patterns and be able to answer difficult questions quickly and efficiently. You also need to make sure that you are practicing with challenging and high-quality material, such as Magoosh, Manhattan or the Official Guide materials 🙂 Good luck! i had 151 quant, and 149 verbal, though i usually did much better in verbal in pratice, i had some 158s, 155s, consistently, but i had only one week to study, due to my crazy schedule at the office, i,m fairly good in maths, but i could only get 151 q and 149 v , please how can i improve my quants to 160+, i,m not so worried about V.
Without knowing more about your situation, it’s hard to say exactly what you should do next to improve your Verbal. That being said, I can make a few possible suggestions, based on what you have told me. You say you’re good at math, but your GRE Quant scores keep falling short. When a “math person” is doing poorly on GRE math, there are two very common causes for this. For some people who are pretty good at math, the missing X-factor is activating your “calculator brain,” as mentioned in this post. “Classroom” math skills, which involve consulting books and using calculators, are very different from GRE skills, which involve using as much mental math, number sense, and math shortcuts as possible. Thinka botu whehter or not you need to work more on these non-calculator skills. If you do need to improve in this area to boost your GRE score, we have plenty of tips and tricks for this here on the blog, and we even offer free mental-math-based GRE flashcards. I wrote my GRE in April 2016 in the midst of heavy workload at the office front. I am pretty good at Maths but not so much at Verbal. I was able to score Q:161, V:154 and AWA:4.0. I was not able to give my 100 per cent (not even 90 per cent) for prep and for time management during exam. My target is 163+ in Verbal, 165+ in Quants and 5.0 in AWA. Please advise me on how to go about it. I have 4-5 months prep time available at my disposal wherein I can give 5-6 hrs per day to my prep. The key to studying for the GRE is understanding the basic concepts for the math section, reading for the verbal section, learning the best strategies, and taking plenty of time to really study your performance and identify your strengths and weaknesses. I have been studying for 2 months because i am physically injured and unable to work. 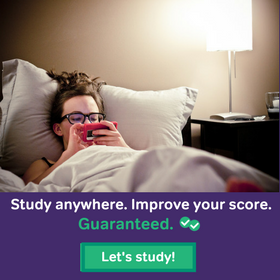 my score has not improved after studying for 2 months and getting assistance from a tutor. my score will only go down when i begin working again because i will not have enough time to study. I work with disabled people and can not use big vocabulary words to communicate with them. i can not spell without spell check and i haven’t done math in 6 years. i scored an 880 on the sat math section and have not gotten a score greater then a 72 on a regents exam. What can i do if my GRE score is terrible and why wont my score improve? This really does sound like a frustrating situation. (And on top of that, I’m sorry to hear that you got injured!) Sometimes if you’ve been out of school for a long time, you might actually not yet be ready for GRE prep. You may need to rebuild your academic skills first, doing general reading practice, developing general writing skills, and reviewing almost-forgotten forms of math. This can sound intimidating and discouraging, but reviewing general academic skills can be a surprisingly fast process. You may feel like you’re getting nowhere and taking forever in your GRE prep. But if you spend 2-4 months focusing just on re-acquainting yourself with third and fourth year math, reading and writing, you’ll be ready to restart your GRE prep and be much more successful. This kind of “back to basics” approach is necessary for a lot of students. It can delay you slightly but ultimately lead to success. And it may help you with your NYS Regents Exams as well. My GRE test is one month away and I need some advice on how to increase my quant score. Based on recent practice test I am able to score 158 and my aim is to reach 165. I’m generally good in math but I frequently get trapped in questions which reduces my correct answers. And I almost every time run short on time. I have been working to complete all the questions on time but I am not able to overcome the first problem. Please advice on how to achieve my aim of scoring 165 on quant. The second is to brush up on all of your math fundamentals (https://magoosh.com/gre/category/math-concepts/math-basics/) and make sure that you know all of the important formulas, properties and relationships that we recommend in our Math Formula eBook (https://magoosh.com/gre/2012/gre-math-formula-ebook/). While we don’t recommend that you rely too heavily on formulas, it is important that you can immediately recall all of the facts that might help you to solve a problem. The third is to study the questions you have answered extensively. Try to figure out the fastest way to solve each problem. Make sure that you understand all of the methods you need to solve each problem. Our blog is also a great place for this, because we have practice problems and explanations for all of the concepts you will see on the GRE. Our problem-solving methods might not be the most intuitive, but they are the most efficient. If you study them you will learn to recognize patterns and think more like a test-maker. hello my gre quant is showing no improvement , in my diag test i scored 148 and in one month i have only managed to get 152 :(….in my last three tests i am getting the same marks! please help me out , i am currently subscribed to the princeton review and kaplan! Happy to help 🙂 First, you should make sure to review your math basics and make sure that you understand the important math formulas and properties. These fundamentals make up the questions that you will see on the exam, so you need to be well-versed in them! Your goal is to see a question and immediately be able to recall as many facts, properties and formulas as you can to help you solve the problem. One issue might be that the math practice in both Kaplan and the Princeton Review tend to be much easier than what you will see on the test. The Princeton Review does a good job of explaining the math concepts, but the practice in both books is much too simplistic. If you are practicing on questions that are too easy, it will be hard to improve above the 50th percentile. I recommend that you check out some of the math practice in our blog. You can do some practice problems and see the methods and explanations. If you are serious about improving your math score, I also invite you to consider becoming a Magoosh Premium member–you will have access to comprehensive strategy and concept lessons as well as over 550 quality math practice questions (our students say that our questions are comparable or even a little more difficult than those on the exam–perfect for practice!). Just a helpful word of advice… Kaplan and Princeton Review are not the best test prep sources on the market. Dozens of standardized test instructors are on record as saying that one of the best sources you can use to prepare for the GRE is the Manhatten series. Eight volumes make up the complete set, and six of those eight are dedicated strictly to the math. Kaplan is supposedly good at only marketing themselves as the best. Princeton Review is okay, but like the Magoosh representative said on this thread, the practice questions you get barely resemble the real questions you see on test day. I really want to get a score of 330. I estimate myself being a little weak in verbal, so I really think I need to get a near perfect score on Quant section (170, yea even I’m thinking myself as crazy). I traditionally have no problem in math, but I always get trapped in all kinds of sneaky tricks these ETS folks throw me at. I did the practice test and I scored around 164. Is there any tips you can offer me to make that quantum leap to 170? Any tips are much appreciated. Bowen— if you managed to get an impressive 164 on Quants and you are generally good at math, aiming for a 170 may not be so crazy after all. 😉 Based on what you’ve told me, my advice is to focus on math skills that are unique to the GRE– estimation, mental math, shortcuts, tricks to avoid and minimize calculator use, strategies for multiple choice questions, and so on. I will keep up the work. I have taken up the GRE exam a few years ago and i got a pretty low score of 275( overall). I was discouraged with the way i performed in the quants section although i felt i could have performed better even in the verbal section. I am planning to take up the gre exam two months from now. I want to know how i could drastically improve on my Math as i am pretty weak at calculations. Please let me know which plan would be apt for me to enroll into ? So if you’re ready to prepare for your test, I’d recommend you go ahead and sign up for our 6-month Magoosh premium plan! And if along the way, you find that you would like a deeper review of the basic math concepts, then that’s no problem. First, you can check out the pool of blog posts we have focused on math basics 🙂 You can also supplement the Magoosh lessons with the McGraw-Hill’s Conquering the New GRE Math book. It’s a great resource for studying math basics; you can read more of our review of that book here. I’d also recommend checking out the instructional videos from Khan Academy that review the general topics tested on the exam. 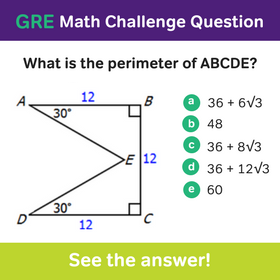 The relevant videos are organized to correspond to the GRE Math Review from ETS. 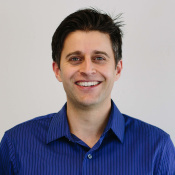 And you can find these video lessons here: ETS GRE — Khan Academy Instructional Videos. Hi Chris, my gre is on July 13,2016. Right now am getting 153 in math in all the tests I gave and 135 to 145 in verbal. My target score is 330. I want to improve. I need to know what’s the easiest way to hit 160 in quants. Cuz in verbal with RC we can get 150 easily. Like wise is there any section that can take us to 160 in math?? Since you’re very close to your 160 target, at this point I recommend you focus on Chris’s advice to “be a specialist.” Often if your’e already very close to your target score in GRE quants, there a re a few specific question types, operation types, or math skills that are a little bit lower than your other skills. Figure out where your weaknesses lie, and “up your game” in those targeted ares. In most cases, that can boost your score by several points. That’s my answer at least. 😉 Definitely check some of the other math advice that Magoosh GRE offers, to make sure you follow your best personal path form Q 153 to Q 160. I have two weeks remaining until I retake the GRE for the second time. I scored a 139 in Quantitative on my first test (I panicked and became flustered during the test, as I wasn’t doing very well, so I resorted to guessing), and I’m currently studying the official GRE guide and Princeton Review GMAT prep book, working on fundamentals from my old Elementary and Intermediate Algebra college textbook, and will soon be taking the ETS practice tests. I’m not naturally gifted at mathematics — simple approximation and substitution problems seem totally foreign to me. I’m downright terrified of standardized testing! Is there any advice you can give that would help me, in addition to what you’ve provided everyone else above? If you are really panicked about the quant section, it might pay off to be strategic and look at this quant concept frequency breakdown we made. This can help you focus in on the most commonly tested question types rather than trying to learn everything in the moment, especially if you have 2 weeks of time to prepare for the retake. I have taken GRE and got 146 on verbal, 151 on quantitative. i have used ETS official prep materials, magoosh’s verbal flashcards . I have been rejected by three universities:((. Now i have planned to retake GRE. From where can i start? what materials should i use. Thanks!! (1) Why you missed the question? (2) Why your answer is wrong? (3) Why the correct answer is correct? (4) What will you do to avoid this next time around? This can be first and foremost the best tool you can have to determine where to start your studying for the retake–it should help you really zero in on the things that you need to improve. And it is based exactly on your personal data! After this point, you can use it to continue logging the types of mistakes you make and review it as you progress so that you can make sure you don’t make the same mistakes you made before. So, to start with, you should use the materials you already used to get started with the error log. After that, you need some new, good quality materials–Magoosh, official guides, and Manhattan projects are all a good place to start. I need to retake the GRE, as per the recommendation of the MBA program I had applied to. I received a 142 on math and a 160 on verbal, so I just need to improve my math score but significantly. Is it possible to raise my score by 10 points, and if so, in what amount of time? Thanks for writing in! 🙂 I would recommend trying out our 90-day math-focused study schedule! If this time frame is too long for you, this article explains how to adapt our study schedules to meet your needs. I have my 3rd attempt at GRE in a month.. i scored the exact same marks in my second attempt (153/149/3).. i need 160+ in quant.. i have 7yrs of relevant work ex.. i dont want to jeopardize me chances by applying with low GRE score… can i improve my score in a month ? i feel i solve everything correctly.. coz i can see my ans in the options so i go ahead and mark it. Thanks for writing in! I would recommend checking out our one-month GRE study schedule. If you follow that plan, it’s likely that your score will improve over the month. I’ve just taken the GRE exam and scored 158 on quantitative with a month of preparation however I at least need 165. I’m following Manhattan GRE material and I’ve solved all the practice questions along with sections and also took 3 timed practice exams but I didn’t solves any of the practice questions from Manhattan 5lbs book. Im planning to take GRE again next month, how can I increase my score? Also I’m going through a lack of motivation. I need help !!!! I’m very very bad at math i have only 2 months left for my gre exam can i get good score ..I started studying i can understand the topic but still i cant understand the basics please help me I can study well but how please ! I just scored 164 on the quant section of the GRE. Do you think it would be possible for me to get a full score if I retake the exam? Honestly, I knew everything that I needed to know, but I seemed to make many careless errors. Is there a way to improve this weakness? I am applying to HBS and the score looks pretty good but not outstanding. I wanted to perform a bit better. By the way, I found many useful tips from your website and I’m grateful for that. Good job on that score! Sure, for HBS it may not be stellar. So I’d recommend taking the test again. Yes, those careless mistakes/ETS making a question seem much easier than it is can make that perfect score seem very elusive. But you can improve on those weaknesses. Taking more practice tests and learning how to avoid careless mistakes, as well as what specific types of careless mistakes you make, will make a difference. Take the MGRE online tests, ETS official tests, and Magoosh practice tests (even if you done so already) should help you hone your skills further. Just wanted to give you an update. I’m now a student at HBS. I learned a lot from your website. Thanks a lot for sharing this info. with us. It makes our job even that more awesome knowing that we’ve helped students such as you. Congrats Dara. i envy you. I aim to go to Stanford Business School for my PhD in Finance. I hope and pray that I make it. I’ve taken four of the MGRE practice tests and have consistently scored between 149-155 on the quantitative section. I have completed almost all the magoosh math practice questions with an estimated score of 155 to 160. In addition, I’ve been doing PS questions from the official GMAT guide. I’m taking the GRE August 24th and would like to score at or above 157. What would be the best way to reach this goal? (I’ve identified my weak points as algebra, number properties, and word problems and generally get tripped up on hard and very hard problems). You are definitely on the right path :). The key is not to only do questions/practice tests but to make sure you are improving on those weaknesses. For instance, practice more with algebra questions, revisiting questions you missed on the MGRE tests and on the Official Guide. You can also use the Magoosh feature that allows you to customize your practice sessions so that you can focus on a specific concept. Once you are comfortably above 160 that should give you a good buffer test day. Thanks for the advice Chris. I recently took my fifth MGRE test without time limits and scored a 164 on the quantitative section! But I took almost twice the amount of time allotted for each section. I’m happy to see that I know the material, now I need to practice and get faster on my weak subjects without feeling rushed and making dumb mistakes. Also, I’ve done consistently well on the PS questions in the GMAT guide and to me these problems seem less complicated (more like magoosh’s medium level). To get my goal score should I continue to divide my time between the GMAT, MGRE, and magoosh or would it be best to focus just on magoosh and MGRE (specifically hard/very hard questions)? Throwing in some GMAT questions should help. After all, you don’t want to only do tough questions. Test day you will need to answer questions of varying levels without knowing–at least at first–the difficult level of each question. The key for you is to keep up the accuracy while working quickly through problem sets. I’m planning to take the GRE this fall. I’ve been practicing math using Princeton Review and ETS material, supplemented by pointers from magoosh, daily for about a month. I need to score at least a 660 (old scale), but would probably be lucky to score a 400 today. I don’t seem to be improving. If anything I’m getting dumber and more frustrated by the day, despite study sessions of epic length. I realize this is a personal issue that I need to ultimately figure out myself, but do you have any pointers for getting out of a study rut, particularly where math is concerned? Should I enroll in a course or hire a tutor ASAP? Getting out of the study rut is tough. Without a tutor hovering over you, you may find it difficult to pinpoint what you could be doing better. So yes – a good tutor can really make a difference. As for general advice – make sure not to only do practice tests/practice questions. At the other side of the spectrum, you have fundamentals. Make sure to mix the two, having the questions you miss on practice test inform study sessions. Mixing 45 minutes of practice questions with 45- 1hr. of going through fundamentals. Thanks Chris! Great tips. Regarding developing mental calculation, i,e, 27X14 or 277X14, how would approach something like that without jotting it down on paper to multiply or using the calculator. Need to hone that skill relatively quickly. Guesti-mate by rounding up or down a little. 27 x 14 is close to 25 x 14. 25 x 14 is the same as 25 x 10 + 25 x 4 = 350. The number has to end in ‘8’ because 4 x 7 ends in an ‘8’. That should be enough to get you the answer. 27 x 10 = 270. Half of 270 is 135 (5 is half off ten). Add 270 + 135 = 405. With 277 x 14 just throw an extra zero at the end.